This page is for the original release. For the remaster, see Burnout Paradise Remastered. 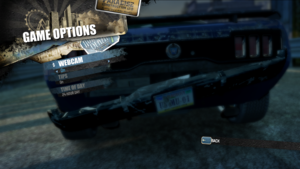 The game will use any connected webcam for various online features. There is an option in-game to turn off webcam use. Neither the 'Cops and Robbers' game mode and cars nor the 'Big Surf Island' DLC packs were released for PC until the remaster. See Vanity Pack. Online servers will shut down permanently on August 1, 2019. SecuROM 7 and SecuROM PA DRM. Limited to five activations. A De-Authorization Tool is available. Steam and Origin users can play together in multiplayer. Contains multiple DLC packs: Legendary Cars, Toy Cars, Boost Specials Cars, and Time Saver Pack (unlock all the cars automatically). Not included with The Ultimate Box, not available to buy through Steam. 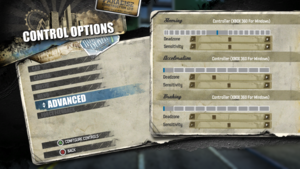 Included in-game by default on The Ultimate Box release (the only version released on PC). Never officially released on PC; recreated by modders (see Vanity Pack). 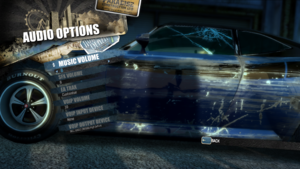 Cops and Robbers game mode never released on PC; cop cars recreated in mod (see Vanity Pack). DLC works on both Origin and Steam versions of the game (provided that an Origin account is used in-game). The Ultimate Box doesn't include all the DLC, Burnout Paradise Bonus Vehicle Pack DLC has to be purchased separately. Patch 1.1 is the latest version (for non-Steam versions of the game). Run the fix from anywhere and click apply. Enter -skipvideos into the launch options to disable the intro videos. Delete all contents and save the file. Click on Input tab, set Cursor visibility to Hide. 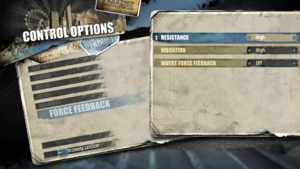 Use Helix Mod: Burnout Paradise. Alt+Tab ↹ out of the game and then back to it. This is necessary every time the game is run. 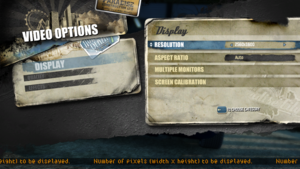 Burnout Paradise may crash on start-up if you have screen recording software running, such as XSplit. 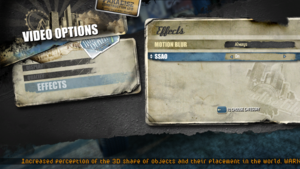 This occurs because the game sees the software as a webcam. The easiest way to rectify this issue is: close the screen recording software, load Burnout Paradise, Alt+Tab ↹ out, then run the screen recording software. If this is not effective, you may need to uninstall the screen recording software entirely. 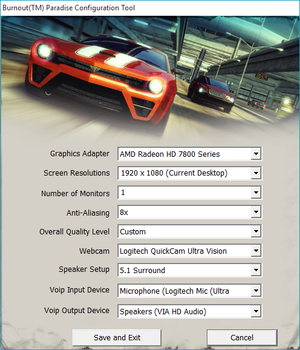 Users with the CL Eye Driver installed (to enable support for the PlayStation Eye Camera as a webcam) will encounter crashes when loading Burnout Paradise. Currently, the only solution is to uninstall the CL Eye Driver entirely. 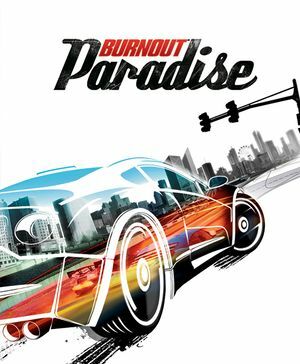 You may encounter further problems even after doing so, so you may have to experiment with trial and error by closing some Windows Services in the Task Manager, then running Burnout Paradise. Users with Nvidia graphics may have Nvidia's Streamer Service installed (used for streaming to Shield). You may have to end nvstreamsvc.exe via the Task Manager for the game to load. Windows 7 users have reported crashing when attempting to run the game. To rectify this, set the game to run in Windows XP SP3 compatibility mode, or Windows Vista SP2 mode. 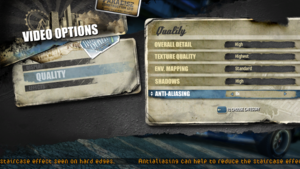 It may also help to reduce or disable Anti-Aliasing in the game's launcher. As a last resort, the game may be fixable by entering -multithread into the launch options. Try connecting online normally. If it connects, ignore the rest of the guide. Otherwise, go to Step 2. After the connection fails, go to the login page again but click "Create new account" instead. Enter the same credentials (ex. email and username) used for the current account into the new one. Once all information is entered in, try creating a new account. If entered correctly, an error message should pop up that says along the lines of "account already exists". Reboot the game and try logging in again with the same account info used in the create account page. Upon attempting to log into an EA/Origin account in order to play the game online, some users encounter the error "The product key you are using is invalid". This occurs if you are using a retail version of the game which you have registered online via Origin/EA Download Manager. The game recognizes that your CD key is already in use (on Origin), and thinks it is invalid. The only solution is to download and reinstall the game via Origin. 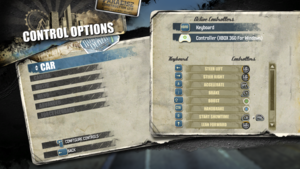 Delete controls.ini in folder %LOCALAPPDATA%\Criterion Games\Burnout Paradise, and restart game. This tool can disable intro videos and music, in addition to make available all game video settings outside of it. Extensive mod to bring Big Surf Island to the original PC version. It also comes with many additional features. Recreated Big Surf Island missing some features including single-player events, programming for areas and roads, etc. May result in a performance decrease in-game to run required background program and render the area. Decompress it using 7-Zip or similar. Follow onscreen instructions and use passwords provided when downloading to install. Launch the game through the Vanity Pack. ↑ 1.0 1.1 File/folder structure within this directory reflects the path(s) listed for Windows and/or Steam game data (use Wine regedit to access Windows registry paths). Games with Steam Cloud support may store data in ~/.steam/steam/userdata/<user-id>/24740/ in addition to or instead of this directory. The app ID (24740) may differ in some cases. Treat backslashes as forward slashes. See the glossary page for details.